Quasi-tangential laser processing, also called laser turning, is increasingly applied for various applications. Specifically, its ability to generate complex geometries with small feature sizes at high precision and surface quality in hard, brittle, and electrically non-conductive materials is a key benefit. Due to the geometric flexibility, the process is well suited for prototyping in hard-to-machine materials such as ceramics, carbides, and super-abrasives. However, the lack of advanced software solutions for this novel process hitherto limited the exploitation of the potential. 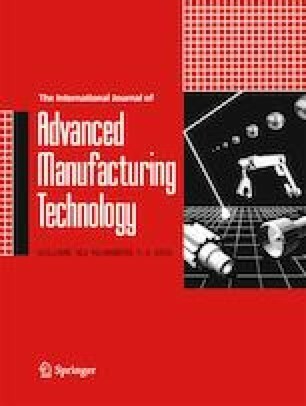 Here, we discuss a unique computer-aided manufacturing approach for synchronous 7-axes laser manufacturing with quasi-tangential strategies. This gives the peerless possibility to process arbitrary geometries, which cannot be manufactured with conventional techniques. A detailed description of the path calculation with derivation and procedures is given. The generated machine code is tested on a laser manufacturing setup consisting of five mechanical and two optical axes. Following, a processed cylindrical ceramic specimen with a continuously varying profile along a helical path is presented. The profile is constituted by a rectangular over half-spherical to a triangular groove with defined pitch on the helix. This demonstrator provides the validation of the presented CAM solution. Measurements of the produced specimen show high adherence with the target geometry and an average deviation below 10 μm. Special thanks to Josquin Pfaff for steady help and discussion during the conception of the CAM toolbox. The opportunity to use the laser machining test bed at Dentalpoint AG is gratefully acknowledged. The study was supported by the Swiss National Fund (FuSSiT/169654) and the Commission of Technology and Innovation (18474.1).